The Egyptian or the Nile Valley civilization developed, as the name suggests, along the banks of the river Nile in Egypt. Its long, narrow flood plain was a magnet for life, attracting people, animals and plants to its banks, and providing ideal conditions for the development of stable communities. Seen as a gift from the gods, the annual flooding of the river deposited nutrient rich silt over the land, creating ideal conditions for growing wheat, flax and other crops. Evidence suggests that the region was inhabited as far back as 700,000 years ago by Neolithic and Paleolithic Man. To date, the oldest tools found in the lower Nile Valley have been found in and near the cliffs of Abu Simbel, just across the river from where, millennia later, the descendants of these people would build the temple of Rameses II. Geological evidence indicates they are around 700,000 years old, giving a fairly good estimate as to when a Stone Age people was living in the area. It is believed that nomadic hunters settled in the valley and over the course of time, began to grow crops to supplement their food supply. Evidence suggests that beginning in 5500BC, hunting ceased to be a major support for existence and the Egyptian diet was made up of domesticated cattle, sheep, pigs and goats, as well as cereal grains such as wheat and barley. Artifacts of stone were supplemented by those of metal, and the crafts of basketry, pottery, weaving, and the tanning of animal hides became part of the daily life. The transition from primitive nomadic tribes to traditional civilization was nearly complete. The first communal project of this fledgling society was the building of irrigation canals for agricultural purposes. 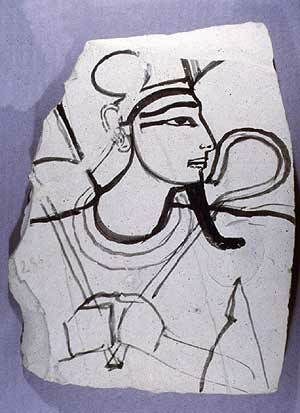 By predynastic Amratian times, about 3600 BC, agriculture appears to have begun in the valley alluviums of the Nile. By late predynastic times, about 3100 BC, there is evidence of a considerable growth in wealth consequent upon the earlier agricultural development and accompanied by a more integrated social system and the rise of the pharaoh dynasties. With their eyes and minds on eternity, the Egyptians built a society that remained constant for nearly 3000 years. Many of their monuments still attest to that permanence. 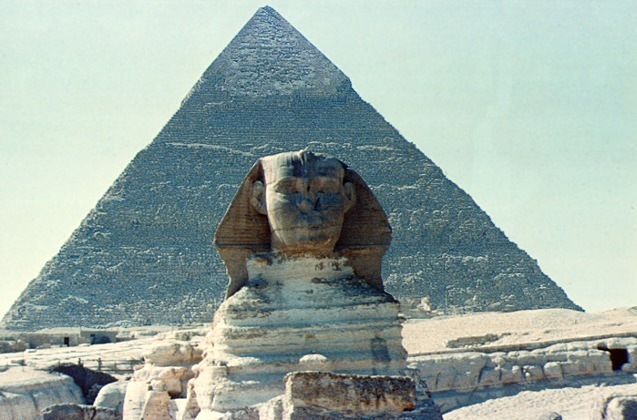 Ancient eyes of monumental sculptures and the Sphinx still stare at us through the centuries. The tombs in the Valley of Kings and at Beni Hasan and the ruins of massive pylon temples at Luxor and Karnak reminded us of the importance of religious belief in Egyptian society. 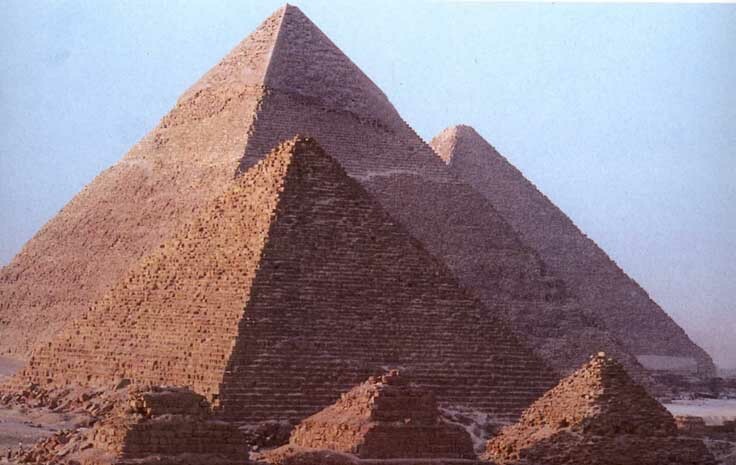 The only remaining Wonder of the Ancient World still stands proudly at the pyramid complex at Giza. Their engineering and surveying skills were developed to solve the everyday problems they faced. Egyptian medical practices included brain and spinal surgery and setting of bones. Their form of decorative and colorful writing remained a mystery until the Nineteenth Century discovery and translation of the Rosetta Stone. Drama may have begun on the banks of the Nile with the Abydos Passion Play. By the record left in the tomb paintings, it is evident that music and dance were an important part of Egyptian life. The Egyptians began to study the stars very early on their history. They were among the first astronomers, and the temple of the sun god at Heliopolis was an important center for the study of astronomy. Unfortunately, very little original manuscripts have survived to the present. The burning of the Great Library in Alexandria during the time of Cleopatra and Julius Caesar, followed by subsequent burnings in AD 390 and AD 640 resulted in the the destruction of estimated 400,000 books on Egyptian secular literature, mathematics, medicine, and astronomy. The burnings were classified as one of the greatest intellectual catastrophies in human history. One can only guess what Egyptian knowledge of astronomy was lost. What we do know, comes from fragments, tomb paintings, various temple inscriptions, a handful of papyrus documents, such as the Rhind Papyrus, and second-hand descriptions. 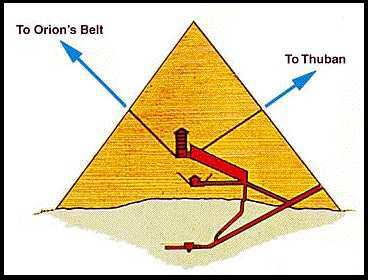 The known oldest Pharaonic astronomical texts date back to the ninth Egyptian dynasty (c.2150BC). They give the names of thirty-six stars which rise within ten days of each other at the same time as the sun. The oldest example of a sundial is Egyptian from about 1500 BC. The fabulous astrological ceiling of Senmut painted around 1460 BC, includes celestial objects such as Orion, Sirius, and the planets Mercury, Venus, Jupiter, and Saturn. The oldest known copies of an almanac date from 1220 BC at the time of Ramses the Great. In 1100 BC Amenhope wrote "Catalog of the Universe" in which he identified the major known constellations. Curiously, the catalog does not mention either Sirius or any of the planets previously known to the Egyptians. There is considerable external evidence that the Egyptians possessed accurate knowledge of solar and lunar eclipses. Greek writers, without exception, gave priority to Egypt in astronomical knowledge. Thales, Greece's first "philosopher", was actually of Phoenician birth and spent seven years studying in Egypt. Greek commentators attribute Thale's mathematical and astronomical knowledge to his apprenticeship in Egypt. Diodorus Siculus (200 A.D.), stated categorically that the ancient Egyptian astronomers possessed the ability to predict solar eclipses. Plutarch related that the ancient Egyptians explained solar eclipses by the passage of the Moon between the Sun and the earth in daylight hours. There is evidence, admittedly disputed by some writers, that an actual solar eclipse was reported in Egypt in the 9th century B.C. and again in 610 B.C. The report of this latter eclipse has been attributed to Thales. One of the two lasting contributions of the Egyptians to astronomy (in the large sense) is the 24-hour division of the day. This convention is the end product of a large number of events which are quite impossible to summarize in a few sentences. However, the basic fact to remember is the following. While at least three different systems for astronomical reference were invented in antiquity--the zodiac by the Mesopotamians, the lunar mansions in India, and the decans in Egypt--it was the decan--lO�-intervals along the ecliptic--which led to the division of the night (period of complete darkness) into 12 equal parts and ultimately the entire sidereal day into 24 hours. These decans, as they were called by the Greeks, were originally constellations rising helically 10 days apart. (Then, after a period of nightly visibility, they were invisible for approximately 70 days, then arose heliacally again, etc.) It was an accident, so to speak, which led to the selection of the specific constellations which were selected. 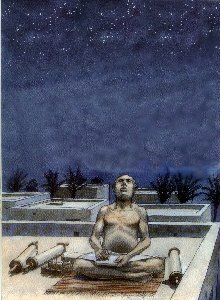 Once the selection had been made, however, Egyptian astronomers were mathematically forced into a 12-part equal division of the night and ultimately the 24-hour day. The second lasting contribution of the Egyptians is the fixed and constant Year of 365 Days. In this instance, a common sense desire for something fixed in the calendaric jungle led (quite early) to the adoption of a 360-day year, to which were added 5 extra days (for feasting), which the Greeks called 'epagomanal' days, making a total of 365 days. Since the mean sidereal year is approximately 365 1/4 days, even this fixed calendar fell behind the sun about 1 day every 4 years. Thus the calendar rotated over a period of 1460 years, back to its original position in relation to the position of the sun. Yet, despite this obvious drawback, the idea of a fixed year remains to this day. The obvious advantage of this 'year' is that no extra, intercalated months were ever needed, and this is no doubt the principal reason for its attraction. Although both the 24-hour day and the 365-day calendar are popularly attributed to the Mesopotamians, it was not until the Babylonians took power in Mesopotamia that this reckoning of time was adopted.